If you are a school leaver, or do not have a university degree, you can apply to study Medicine, Dentistry, Podiatric Medicine, Pharmacy and Social Work after first completing an undergraduate degree in Science, Arts, Commerce or Biomedical Science (2018). However it would be recommended that students enroll in Science and consider science majors; for example, Anatomy, with some Chemistry, Molecular Biology of the Cell or units which would prepare students to take the level 2/3 units in Physiology, Microbiology, Pathology or Pharmacology. School leavers wanting entry to an undergraduate degree at UWA will be required to apply through TISC (Tertiary Institutions Service Centre), have completed at least four WACE subjects and have an ATAR of 80. WACE students who have an ATAR between 70 – 79, and have scaled passes in any prerequisite subjects can also apply for entry to UWA through the School of Indigenous Studies’ Provisional entry scheme. If you are a school leaver but have an ATAR below 70, then you can prepare for an undergraduate course by successfully completing the Aboriginal Orientation Course. WACE applicants who apply through TISC, can apply for the Direct Pathway to Medicine, Dentistry, Podiatric Medicine and Master of Pharmacy. This may require UMAT, interview etc – see Medical, Dentistry and Health Sciences website. 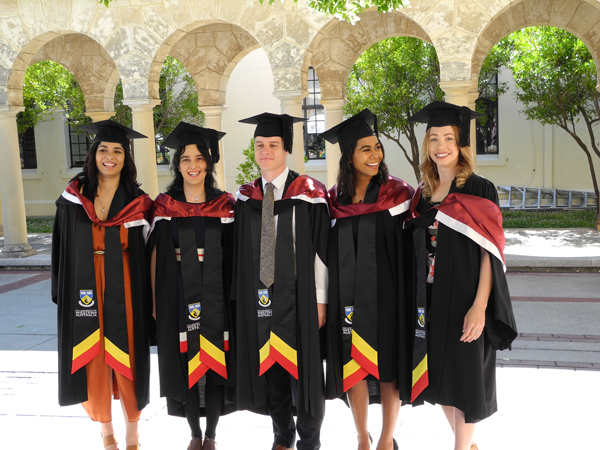 WACE students and those applying through successful completion of the Aboriginal Orientation Course or having completed at least one year of an undergraduate degree at UWA, can apply for Direct Pathway through The Centre for Aboriginal Medical and Dental Health (CAMDH). Applications are available by contacting CAMDH and will require academic transcripts, references, Proof of Aboriginality. Applicants will be required to have an interview in October/ November. If you have completed an undergraduate course and have a good academic record (GPA of 5 or above), you can apply for entry into the Doctor of Medicine (MD) course, Doctor of Dental Medicine (DMD), Doctor of Podiatric Medicine (DPM) and Master of Pharmacy (MPharm). For information on standard entry, see the Medical, Dentistry and Health Sciences website. Indigenous applicants can also apply through the Centre for Aboriginal Medical and Dental Health. If interested to apply through this pathway, you will need to contact CAMDH and submit an application with supporting documents including Proof of Aboriginality, references, CV and academic transcripts and attend interviews. Applications through CAMDH usually close in June.